Tonight the 68th Annual Golden Globes are honoring the stars for movie and television achievements. This is like a really fun sneak peak at what the stuffy Oscars will bring us. Ricky Gervais is the host for the night and that means a lot of laughs. With an open bar and all the stars sitting at tables, laughing the night away, this is the best kind of awards show. You still get the honors and fabulous fashion, you just get a much more relaxed version. I love it. 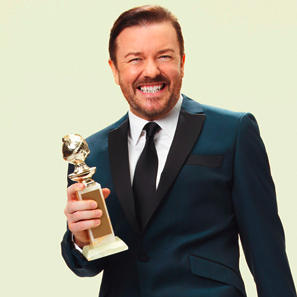 The 2011 Golden Globes air tonight on NBC at 8/E and 5/P. Below are all of the nominees. This will be updated with all the winners as they are crowned, so keep refreshing for the latest. Winners will be in bold. Congrats to all the winners tonight! Have You Seen This NEW Breaking Dawn Photo?